Welcome back, everyone! 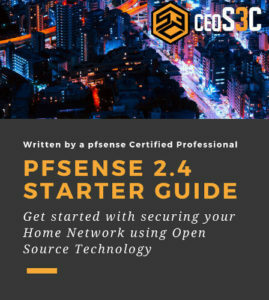 Time for an updated version on how to install pfSense 2.4.2! It has been a while since I did the last tutorial on how to install pfSense. 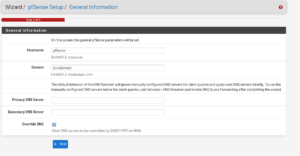 Let’s have a look if something has changed on the installation routine of pfSense 2.4.2. 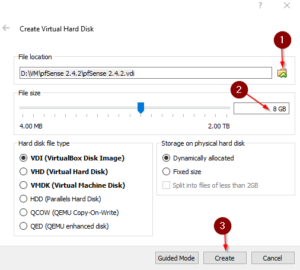 For this tutorial, I will install pfSense 2.4.2 on a VirtualBox Virtual Machine. 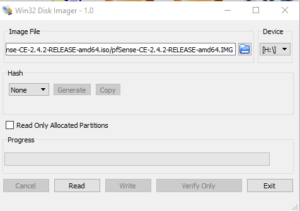 If you want to install pfSense on a physical appliance, you need to create a bootable USB Drive. I will show you how to create a Bootable USB Drive in the first step. The installation routine will be exactly the same for Physical and VirtualBox, so if you use a Virtual Machine, just continue on Step 1 and skip the optional first step. So let’s go ahead and install pfSense 2.4.2! Go ahead and download the USB Memstick Installer. Choose either the VGA or Serial version, depending on which appliance you have (VGA = with Monitor Plug / Serial = Without) After the download is finished, extract the file. Next, go ahead and download Win32 Disk Imager. 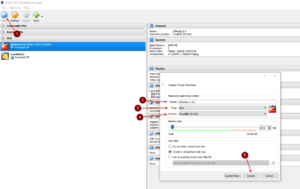 Start it and select your extracted pfSense 2.4.2 IMG file. Click on Write to write on your USB Drive. Be aware the USB Drive will get erased in the process. Now plug the USB Drive into your appliance/device and boot from USB. You can now continue with Step 2. 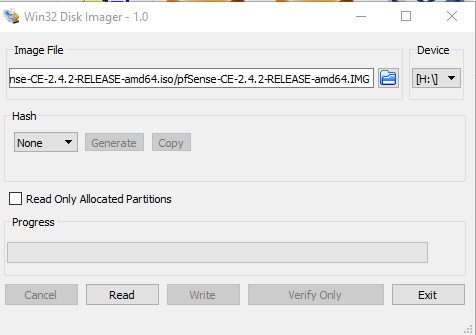 First go ahead and download the pfSense 2.4.2 CD Image (ISO) Installer. Extract the file after the download is finished. Now fire up VirtualBox and click on New. Enter the details as following. Allocate as much memory as you like, 512MB – 1024MB is sufficient for most cases. Click on create. 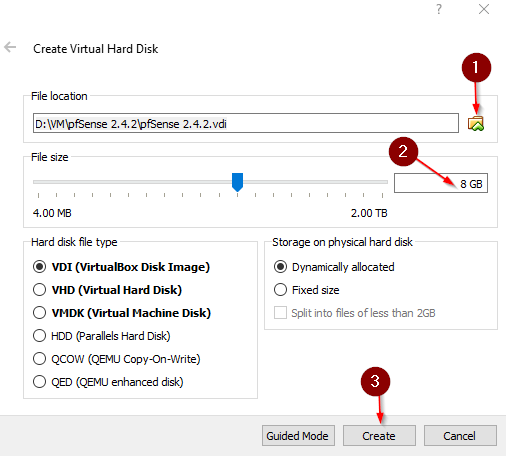 Select a location where you want to save your VM, select how much disk space you want to allocate, I’ll go for 8GB and click on create again. 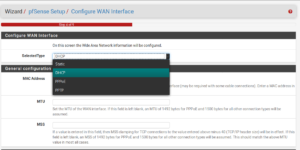 Now right-click your VM and navigate to Network. Now it’s up to you how many interfaces you want to assign. I will just use this pfSense in my lab, and I want it to have 3 interfaces. 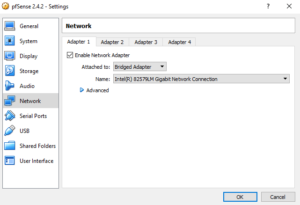 You should at least assign 2 interfaces – one for WAN and one for LAN. 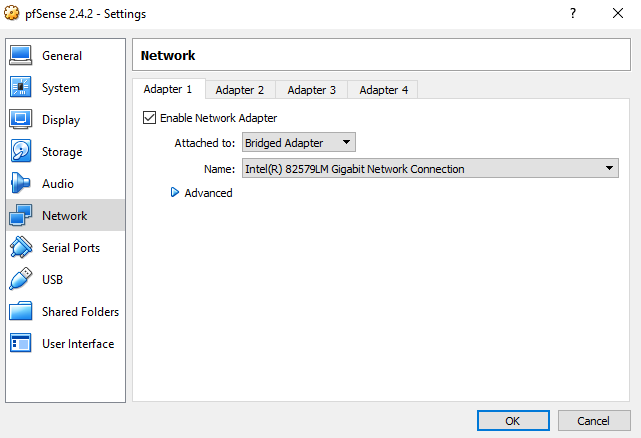 If you want your pfSense VM to have internet access, you have to set Adapter 1 to Bridged Adapter, so it can get internet access from your physical network. 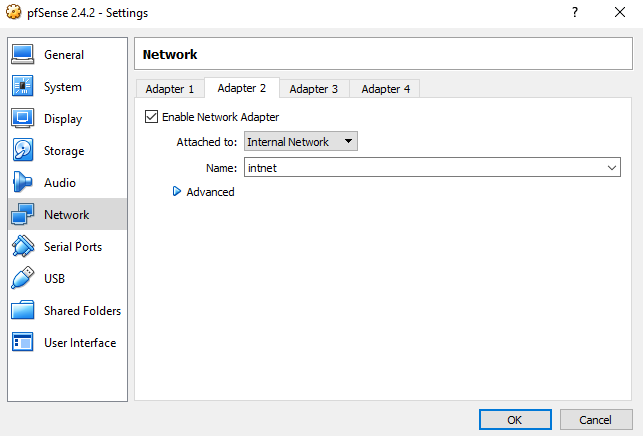 Adapter 2: Internal Network (‘Intnet’) or Host-only Adapter. Now click on ok and start your VM. 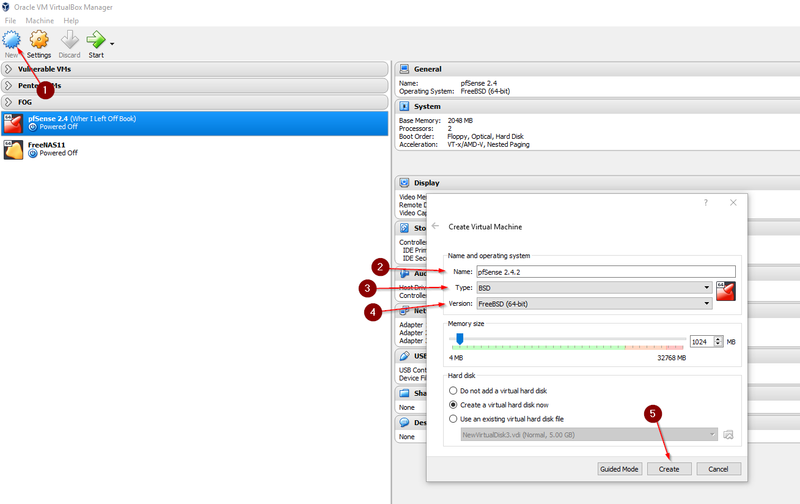 When it starts, select the location of your pfSense ISO file that you downloaded earlier. Now the installation routine starts. The process is the same for physical and virtual installations. First, accept the Netgate Copyright Terms (That seem to pop up everywhere nowadays lol). 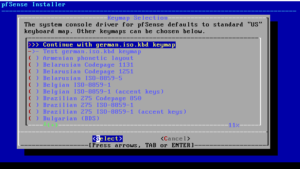 Choose a Keymap by selecting it and pressing Enter. 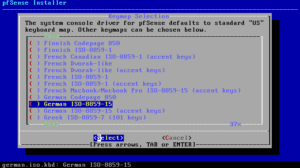 After choose to Continue with ….. keymap. Next, we need to choose a partitioning method. We stick with the default Auto (UFS). Now the installation routine will run through. Soon as it finished, you have the option to enter a shell. We don’t need to do that right now, so select No. 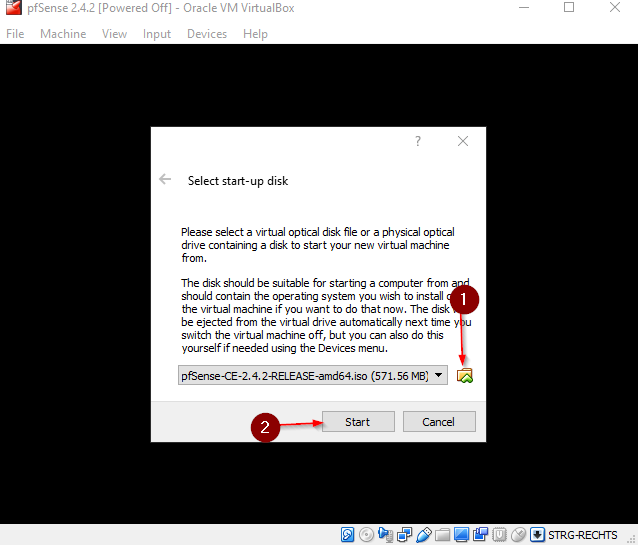 In VirtualBox navigate to Devices -> Optical Drives -> Untick the ISO file. If you haven’t been fast enough before pfSense rebooted, just reboot the VM again manually. 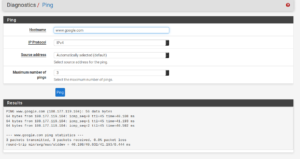 Once pfSense is booted up, you can access it via Web Browser using it’s LAN IP Address, per default 192.168.1.1. 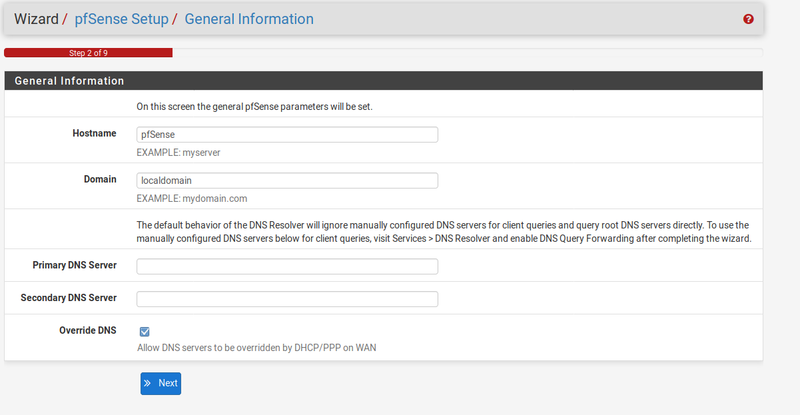 You can also see that our WAN interface automatically received an IP Address from our DHCP server on our local network. I won’t explain the other options here, you can read up on that in the pfSense Category. 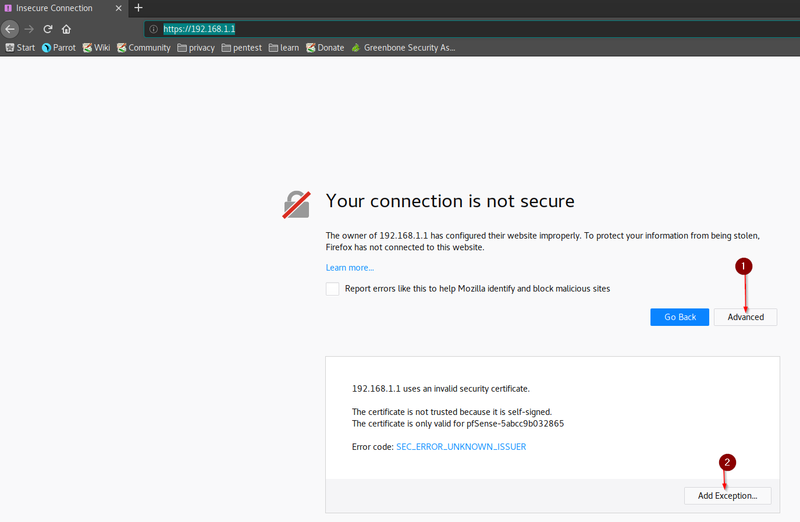 With a computer that also resides in Internal Network (Intnet) open a Web Browser and enter 192.168.1.1 in the address bar. 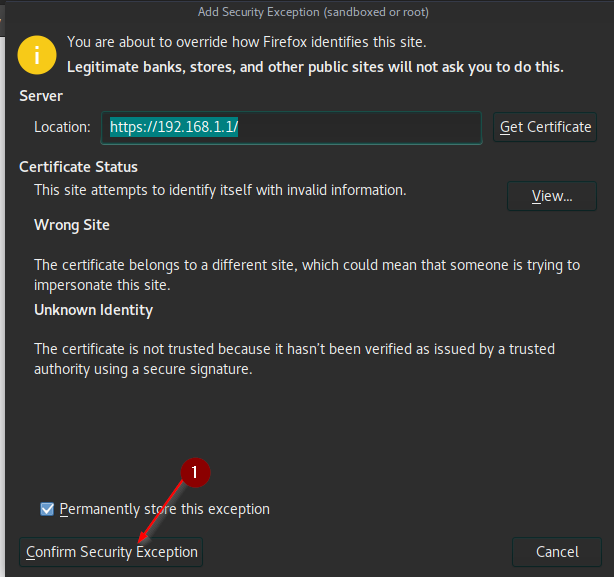 Add an exception to your browser. 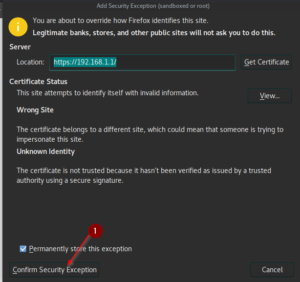 Learn how to create a SSL Certificate for pfSense! We will use the Initial Configuration Wizard, that nowadays does a decent job of helping you to get your system up and running in no time, going through the most important steps. Click next until you reach Step 2 of 9. 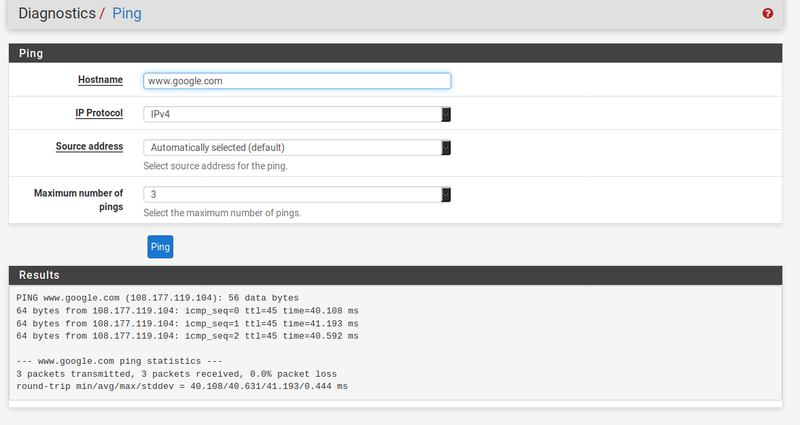 Here you can change the Hostname and enter a Domain if you want. Leave everything else on default. Now we are going to configure the WAN interface. 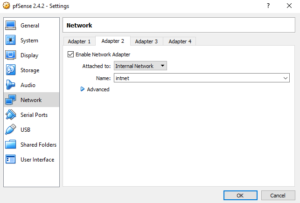 If you are on a VirtualBox VM, you can leave it as DHCP, the WAN interface will get internet access through your local networks DHCP server. If you run a physical appliance, you would choose PPPoE and enter the credentials provided by your Internet Service Provider. We choose DHCP for VirtualBox and leave everything else on default. I won’t go through all the options as this is a basic installation tutorial. You find further information in the pfSense category. Next, you could change the Subnet. We leave it on default for now. And most importantly, change your admin password! 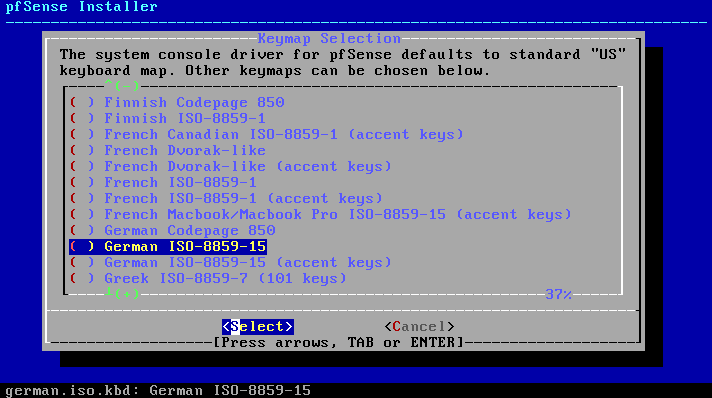 Finally, reloading pfSense with the new settings. And congratulations! Your pfSense is now ready to use. And with this, you are left with a fully working pfSense firewall. You can now go ahead and knock yourself out in the pfSense category or on the YouTube channel. 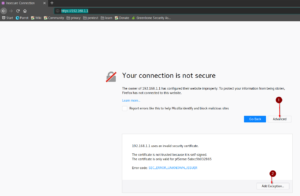 When I used pfsense I had a trouble connecting to my internet, so I tried troubleshooting and set up Host Address manually but it still not work, maybe I just didn’t know how to use it properly, thank you for sharing this.